Internationally acclaimed street artist Gaia is an O+ Kingston alumnus and the mastermind behind two of Uptown Kingston's largest murals: Artemis Emerging from the Quarry, behind BSP Kingston, and Pronkstilleven on Fair Street. About eight years ago, he designed Tiger Rabbit as a pasteup mural in Seoul, South Korea. The hybrid animal symbolizes the annual transition in the Korean calendar. Gaia also views it as a symbol of the entwined aggression and submission that addresses "the hierarchy of Japanese colonization and contemporary Korean identity." 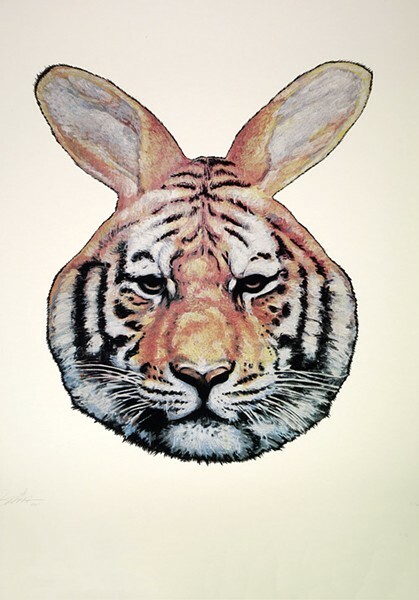 A framed and signed limited edition screenprint of Tiger Rabit will be auctioned off at the O+ Spring Gala Auction on April 14 at The Beverly. View all the items up for bid and to reserve a gala ticket. 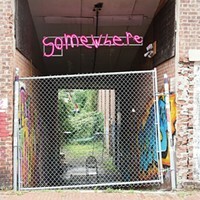 All proceeds from the auction will benefit O+ Festival.